I'm curious to see what solutions others have used for this problem. At the moment I have a lot of distributed storage across my home network. An external hard drive for Time Machine on my Wife's iMac. Drives thrown in the HTPC for recording and playback. Drives on my own PC for old archived stuff, disk images etc. I'd like to centralise this somewhat and make it easier to keep safe and manage, so recently I've been giving a lot of thought to building a home NAS. I just need to figure out now what is the best hardware/software solution to use for it. For hardware, as I don't have any old bits lying around and I don't tend to trust second hand parts from a reliability perspective (never can tell how they've been handled/used), I'd be looking at getting cheap new components to build this up. 2GB cheap branded DDR3. 2 DIMMS ideally, not that it'd make a any real difference. Standard 3.5" IDE to CompactFlash adapter. I have a 16GB CF card lying around from our old camera. Something that can withstand the initial power on current of all the drives in the box. Probably large. Quieter the better. Obviously the hardware is a work in progress. I'd like it to be as extensible in the future as possible. I want to be able to load it with drives. Whip out my 750GB OS drive in my gaming rig? Throw it in the NAS for some extra space if we were running low. And because it'll be in the corner of the lounge being quiet is definitely an issue. Software wise there are way too many solutions. Initially I was thinking of just running a simple appliance Linux/BSD distribution like FreeNAS or Openfiler. But I've got to thinking a little more now on maybe just putting Ubuntu on there as it'll give me extra room later if I find there's something else I want the NAS to start doing. What's the preference round here? I've fairly certain a standard RAID 5 is more than enough and I don't need to play with ZFS (although it might be interesting). A decent web interface/UI to make adding additional disks or managing the RAID would be gravy. For exactly the same reasons as you described I recently bought a home NAS (stuff spread all over 3-4 computers with varying degrees of being backed up). I originally wanted to build my own running FreeNAS but couldn't find a good hardware combination, I wanted a compact 4 bay case which I didn't find for a reasonable price. In the end I paid more than I had planned and bought a QNAP TS-410 Turbo NAS (http://www.qnap.com/pro_detail_feature.asp?p_id=134). I have 2 mirrored 2Tb drives in there now which is keeping me going for now and will grab another drive (in RAID 5) when that runs out. So besides the initial outlay I haven't looked back, it has great feature set and a nice web interface. I recently re-commissioned an old desktop of mine to provide my NAS requirements. It's an old Athlon 3500, 1 gig of RAM - on an Asus motherboard with 4 SATA slots. I purchased an additional PCI card to provide further SATA slots. I ended up sticking 4 1GB Seagate drives on the motherboard for my raid - and the additional PCI card was used for a small 160 GB boot drive. Since the motherboard only has PCI slots (and one AGP) - the external card couldn't really provide the performance I was after. I also stuck in an intel ethernet card for performance. I initially tried FreeNAS and OpenFiler on the machine. FreeNAS I found the interface to be a little clunky, and difficult to customize to my needs. OpenFiler was the same, although a little more lenient. Both provided abysmal performance from a network read / write point of view compared to Ubuntu. I needed the ability to install my custom torrent requirements - plus a small web site and various other tinkering. In the end, I installed Ubuntu 10.04 server on the machine - and configured it via CLI. The 4 drives are configured in linux soft raid - and the raid gets ~250MB / s reads. Over my network, I can read and write around 80MB/s - which is fantastic. FreeNAS is fine if you want a simple, web based interface to configure - and don't have any requirements above and beyond what FreeNAS already provides. Do note however, FreeNAS is getting a little old now - and it's performance isn't great depending on your hardware. OpenFiler is an incredibly powerful NAS package - but it's really locked down - and the community is rather stagnant. They call it opensource, but aren't willing to let anyone tinker or provide changes. As soon as you mention the word "custom" they turn you away or ignore you. :) If you have iSCSI requirements - OpenFiler has this built in. It's web interface is great, albeit a little eccentric. It's faster than FreeNAS - but again, not quite as good as Ubuntu. Personally - I'd recommend Ubuntu (or another distribution) over the above. If you really need a web interface, check out webmin - there's also another option of which I forget the package name for. In all reality, to get a basic NAS up and running with Ubuntu, it took me around 30 minutes of configuration. Without any CLI knowledge, you'd need a fair amount more. That's only $299 leaving ~$400 for a case and power supply. And a custom build will be much more extensible in the future (if a little more work for initial setup and tweaking to keep power usage and sound down). Ubuntu is sounding more and more the way to go. I bought an old work desktop PC for $40 yesterday which is an old IBM ThinkCentre with a P4 3Ghz/800mhz & 1GB of RAM to use solely as a home NAS solution. I have dropped a 500GB Drive in there and installed Ubuntu 10.10. *A simple partitioning solution to create a media only partition for LAN access. *Reliable media server for Video/Audio/Images for use with the PS3 [Similar to TVersity] With or without transcoding. *To be able to access the box's desktop via a browser on any of my other Windows PCs on the LAN and ideally externally. I currently use LogMeIn on my Windows PCs which is good for outside and LAN access, albeit a bit slow, but wanted to know what is comparable for accessing the Ubuntu desktop so i don't have to use a Monitor, keyboard & Mouse. Or maybe I am thinking about it the wrong way and there is another method of remote accessing a Linux desktop from within a LAN. This is only day two of this project, so any help or recommendations is appreciated. PS3 Media Server is perfect for streaming media from a Linux box, including transcoding optoins if your data link isn't ideal for HD. Buttonmash: PS3 Media Server is perfect for streaming media from a Linux box, including transcoding optoins if your data link isn't ideal for HD. Thanks for that, I never considered that PS3 media server would have a Linux install. 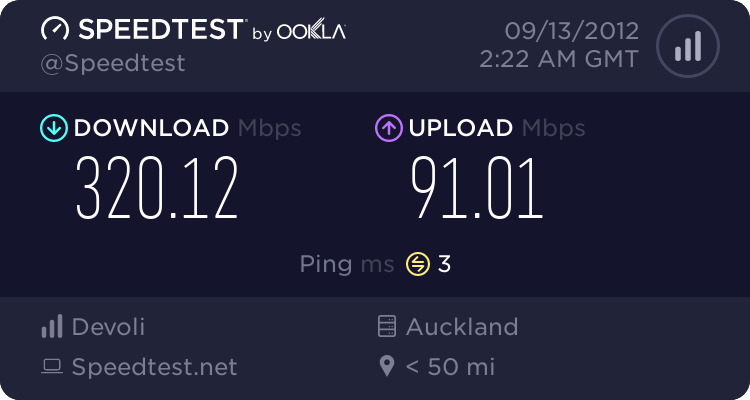 I am on a hardwired LAN so not problem with the connection. Will make a note and install that tonight.